Whether in business or your personal life, having a goal gives you something to work towards. It pushes you forward and provides a constant reminder of what you want to achieve. It gives you something to focus on. Goals provide the motivational energy to carry on even when motivation is low. Academia has written much on the subject. By far, though, the most well-known goal-setting technique is SMART. The acronym encourages us to make goals specific, measurable, agreed-upon (some people use achievable or attainable), realistic and time-bound. In this history of SMART goals, I look at where the acronym came from, who developed it, what the critics say and why it has become popular in project management and performance planning. As far back as the late 19th century, renowned American philosopher Elbert Hubbard realised that many people failed in their endeavours. They failed not because they lacked intelligence or courage, but because they did not organise their energies around a goal. What they needed was a way to organise their efforts to improve their chances of success. It wasn't until the late 20th century that help arrived in the form of SMART goals. 'How do you write meaningful objectives? '- that is, frame a statement of results to be achieved, Managers are confused by all the verbal from seminars, books, magazines, consultants, and so on. Let me suggest therefore, that when it comes to writing effective objectives, corporate officers, managers, and supervisors just have to think of the acronym SMART. Ideally speaking, each corporate, department and section objective should be: (SMART). Many people believe that effective goals and objectives must incorporate all five elements of SMART. However, Doran explains, It should also be understood that the suggested acronym doesn't mean that every objective written will have all five criteria. For example, not everything worth achieving is measurable. And a goal you set for yourself does not need to be agreed-upon. SMART does not have one definitive meaning. In fact, the words within the acronym have changed over time. And they continue to vary somewhat depending on the person using the term. Assignable: specify who will do it. He saw that by helping people focus their attention in these five areas, they would improve their chances of success. These five elements aren't set in stone. Over the years, people have substituted some of the original words with different terms that meet their specific needs. Reviewed: reflection and adjustment of your approach or behaviour to reach a goal. SMART goals have provided a clear and simple framework for defining and managing goals and objectives. 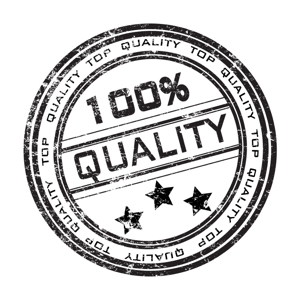 The acronym works well; people find it useful-those qualities alone make it popular. A key part of its value is that SMART prompts people into the act of clearly considering and defining goals and objectives as they set them. This reduces the risk of creating a vague or unclear goal that is unlikely to be achieved. Ease of use is another likely reason for the popularity of SMART goals. SMART goals can be used by anyone, anywhere, without the need for any particular tools or training. However, writing a SMART goal is easy. Sticking to it is the hard part. Make sure it is something that will get you out of bed in the morning, something that drives your passion. Write your SMART goals down on paper. Keep them in your pocket. Refer to them frequently to check you are making progress toward achieving your goals. 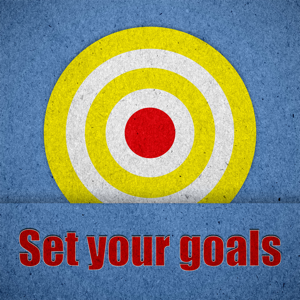 Not everyone sees SMART goals as a positive force in goal setting. Critics argue that the SMART technique doesn't work well for long-term goals because it lacks flexibility. They suggest that you could fail to reach a long-term SMART goal if circumstances change further down the line. Others warn that merely making a goal SMART is no guarantee of success. They equate SMART criteria to a yearly checkbox exercise. Opponents further suggest that the SMART approach doesn't promote the sense of urgency or excitement needed to succeed. Specifically, they ask whether the SMART approach compels you to act in pursuit of your goal or creates inertia and stifles creativity. Despite its critics, the SMART approach has changed the way we set and measure goals. It offers a clear and simple framework. Its popularity continues to grow, largely because it provides the vital element of organisation that Elbert Hubbard saw missing in people who failed in their endeavours over a century ago. A note of thanks is owed to the little-recognised George T. Doran for introducing us to an efficient means of organising our efforts around a goal. Whether in business or your personal life, well thought out goals and objectives help you achieve the best possible result. If you have a goal you really want to achieve, think SMART. Make sure your goal becomes reality and doesn't end up in a graveyard of unfulfilled ideas. Doran, G. T. (1981). "There's a S.M.A.R.T. Way to Write Management's Goals and Objectives", Management Review, Vol. 70, Issue 11, pp. 35-36. Project Smart was the first website to put the SMART definition online. Shortly after, the site was contacted by George T. Doran's son, Sean Doran, who confirmed that his father had developed the SMART acronym in November 1981. Yes, it is understood - as per this article - that many think Dr. Doran was the originator in the early 1980s. However, as I stated in an earlier comment, an executive of Leadership Management International has programs going back into the 1970s that have SMART taught in them. These programs were authored by Paul J. Meyer. I believe this can be verified in print archives. Contact LMI VP Sam Maitz at their HQ in Waco, Tx. I see too many milestones that are really activities. Milestones are when something has been achieved and can be prefaced by the word “when”. Activities usually start with verbs, e.g. gather requirements. For example, “when the requirements have been gathered” is not a good milestone. A ‘smarter’ one would be: “when the requirements have been signed off and agreed”. We have used the SMART Goal concept, frequently with our clients over the last 30 years. We are a franchise of one of Paul J. Meyer's companies. I was recently sent an email, by a VP of this company, that stated (regarding origination of the term SMART Goal), "It was being used by LMI/SMI as far back as I remember and can see in programs going back into the 1970s." Do you have any further information regarding this? The SMART method for goal development is a concise way to create goals that most people can agree with and follow. The cost of quality is a significant cost on any project so prudent managers look for ways to keep those costs in check. 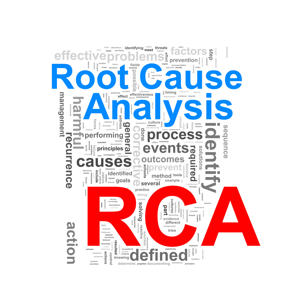 The Root Cause Analysis method, when used properly, gives the project manager the ability to diagnose a problem that negatively impacted the project and remove it when it is first noticed. 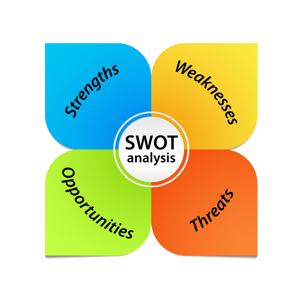 SWOT Analysis is one of a number of different techniques used by professional project managers to help with decision-making. 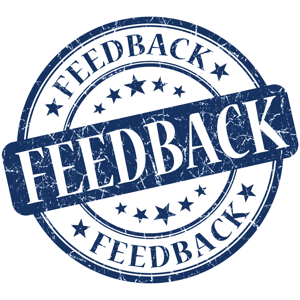 Using feedback as a tool can help to motivate people, help with a persons development, uncover risks and issues and solve problems.